Optare has marked its recent rebirth in the Australasian market with the announcement of a major order for more than 100 buses to service the Greater Wellington region in New Zealand. The huge deal was announced by Australasian Optare distributor Bus Corp Oceania recently. The order of 114 Optare Metrocity buses, worth more than $36 million, is from New Zealand bus operator Tranzit Coaches. The will be buses deployed throughout the Greater Wellington region from the CBD all the way up to Palmerston North. The first of the Optare Metrocity buses is due to be delivered and on the roads in New Zealand in March 2018, with the entire 114 bus order set to be fulfilled by June 2018. The order is Optare's biggest ever single export order of 114 for the Euro-6 Optare Metrocity buses, which were chosen by Tranzit Coaches for their low weight as well as their ability to generate significant tax and fuel savings and the overall low cost of operation. Bus Corp Oceania general manager Jason Pecotic says the low weight from the monocoque construction means the Metrocity offers 30 per cent more seating capacity, while still fitting within New Zealand's 12-tonne GVM tax bracket. "Optare's monocoque design saves around 900kg in weight, meaning it generates more pay-load while saving the operator money," he says. "In this case we estimate that the Metrocity will deliver savings of around $4000 per bus per year for Tranzit before taking into account double digit savings in fuel consumption and operating costs." The order will see a mix of 10.1 and 10.8-metre Metrocity buses deployed on a wide range of routes including city, suburban and semi-rural operations. 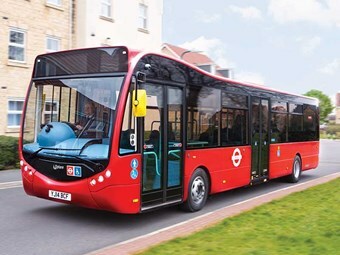 The Optare’s use the latest technology Mercedes Benz drivelines, ensuring low emissions and the highest levels of efficiency and are eco-friendly. Tranzit Coachlines has operated for more than 90 years and is New Zealand's largest family-owned coach company and currently operates a fleet of more than of 1000 buses. BCO has also announced it has appointed Trucks & Trailers NZ as the service dealer and parts distributor for Optare buses in New Zealand. "With Optare's Euro VI buses running Mercedes Benz drivelines, particularly this large new order for Tranzit, it was vital that we ensure the correct back up and after sales support for our bus customers across New Zealand and Trucks & Trailers is the perfect fit as our partner in New Zealand," Pecotic says. In other Optare news; Bus Corp Oceania has announced the appointment of Ross Thompson as after sales manager. Ross Thompson comes to the role after 13 years with Volgren, where he fulfilled a number of roles, most recently as national after sales manager, responsible for all Volgren and Marcopolo after sales as well as managing the company's Victorian workshop and parts facility. "Ross has an exceptional reputation in the bus industry and the knowledge and expertise which he has gained working with major fleets around the country and in overseas markets will be invaluable as Optare builds its market presence in Australia and New Zealand," Pecotic says. "At BCO we have identified after sales service as the cornerstone for our Optare bus operations in Australia and New Zealand and Ross Thompson will spearhead that strategy." Thompson is a qualified diesel mechanic and completed his training in the Australian Defence Force. After leaving the army he spent 15 years at a truck and trailer repair workshop rising from mechanic to field service, then in to service reception and then service manager. He began with Volgren in 2004, managing its Dandenong service centre before moving to the role of technical manager for its Marcopolo brand, which included quality inspections on vehicles as they came off the line.